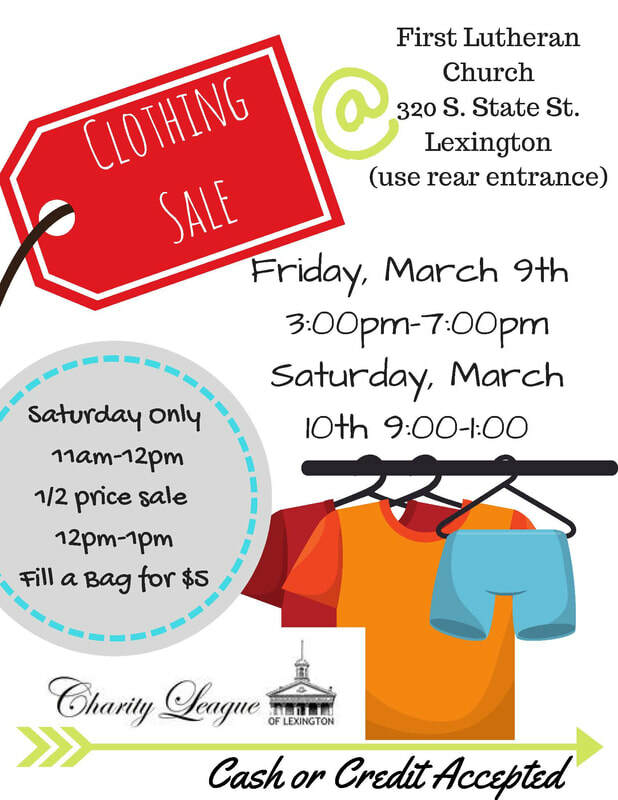 Each March the Charity League of Lexington has an Adult Clothing Weekend Sale for the Community. There are quality men's and women's apparel and Accessories at affordable prices for sale. You won't want to miss this great opportunity for quality merchandise and wonderful prices. All proceeds go directly back to the Charity League and further it's mission of supporting the children of Davidson County.